There are other types of monitors which are sometimes used, for instance one type is simply a piece of glass which is fixed across the crack. If the glass is broken it is a sign that the crack has moved. However I don’t like this type as the glass can be broken by vandals and it can’t establish the rate of movement. 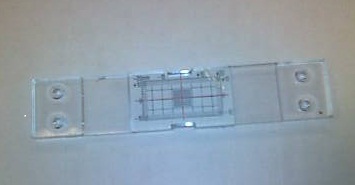 Other methods of crack measurement. There are other means of measuring crack width movement, these include rulers with various crack widths marked on to allow comparison, another type is visual crack microscope device and finally cracks can be measured by simply fixing metal studs either side of the crack and using a vernier calipers to measure the distance. A sensible approach is necessary when using microscopes and vernier calipers, the extremely small dimensional changes in crack widths which they can measure could simply occur due to daily temperature changes. If using very fine measuring devices the measurements should probably be taken at the same time of the day or at least check the temperature each time a measurement is taken. 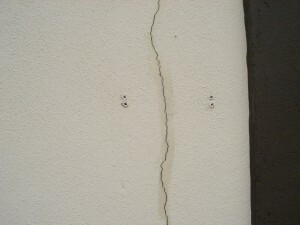 If the end of the crack is visible, which is more likely for smaller cracks, this can be physically marked along with a date. Be warned however this approach isn’t advisable on ships. A chef on an oil tanker used this method when he discovered a fracture on the floor of his ship; he marked the development of the crack for weeks. Unfortunately before he brought it to the attention of the ship owners, the boat split in two and sank. But the markings and dates he made along the length of the crack were discovered in the wreckage by the accident investigation team and were useful in establishing the cause and rate of development of the fracture. Installing a crack monitor. 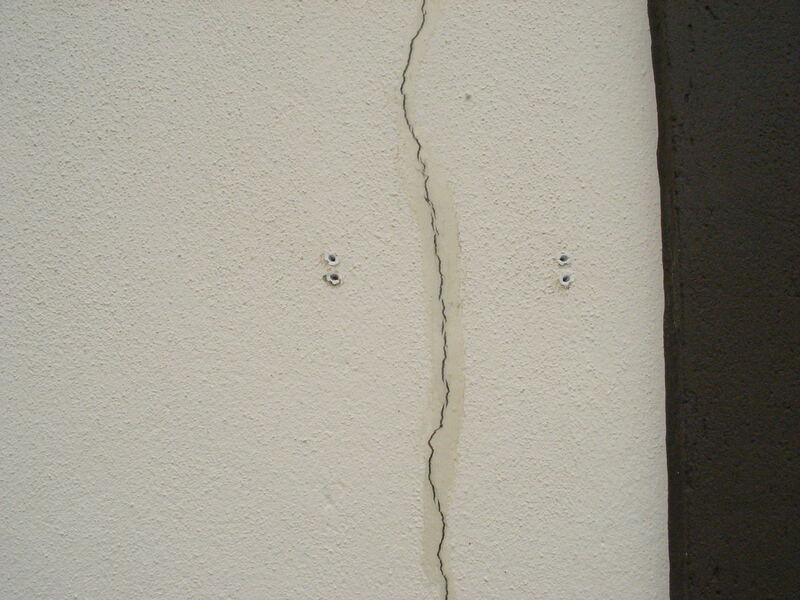 A crack monitor is relatively easy to install. 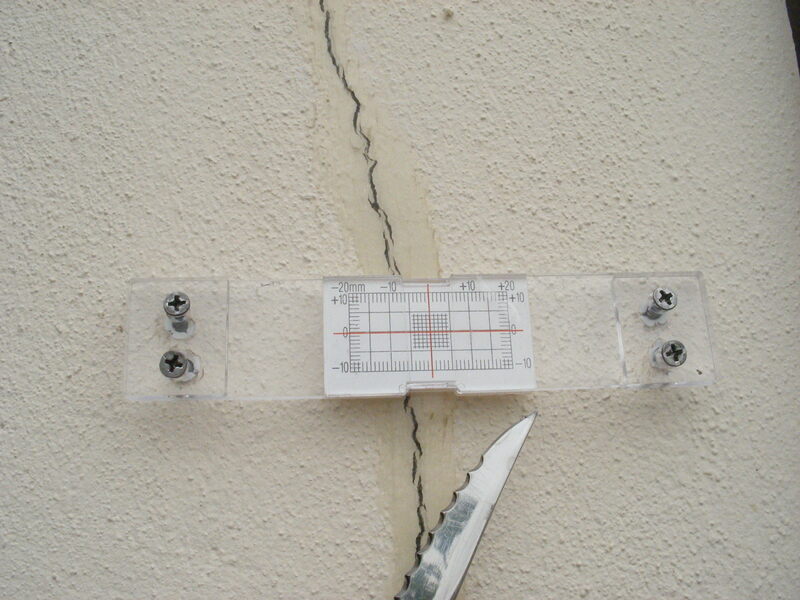 Tools required are an electric drill, screw driver, fixings, a knife and of course the crack monitor. Some people use epoxy resin to fix the monitor in place rather than screws, but I prefer not to as the monitor may only be fixed to the paint on the wall, which could peel away. See photographs below. 3. Screws tightened, crack monitor installation complete. The final tightening of the screws can knock the axis of alignment off, as in the case above. This is fine once the initial reading is carefully recorded. Never assume it ha been erected at zero zero. Why are there no ladders in Irish canal locks? Now if I could only find some of these in Adelaide….. Thank you, a very accurate description. Behind the words am feeling a lot of experience. I might add that modern monitors have metal studs. 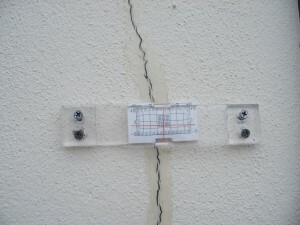 This enables accurate observations using electronic calipers. 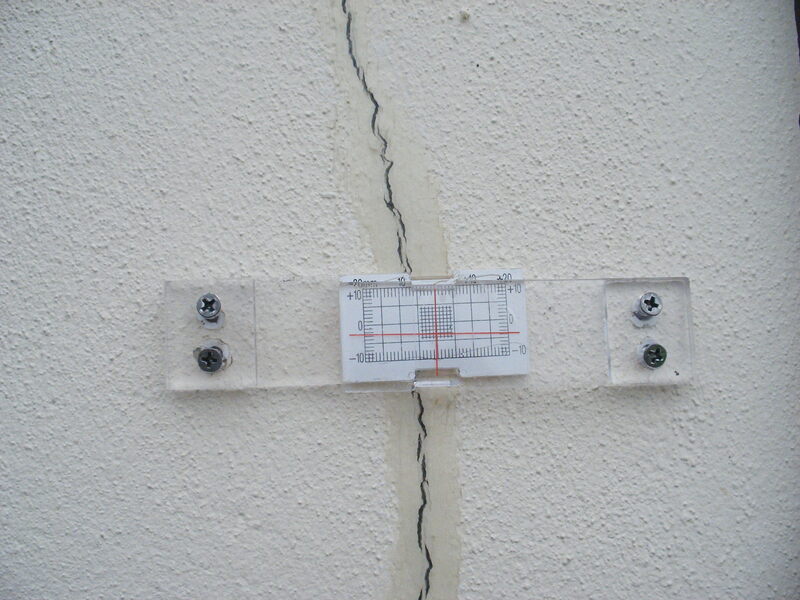 Use “crack monitor Zi-2.2” for monitoring cracks. They are sold on ebey and sent to many countries. I live in a bunglow at the top of a very steep driveway. I can see there has been movement. Should I get an egineer out to look at this or monitor it myself with a tale tell?